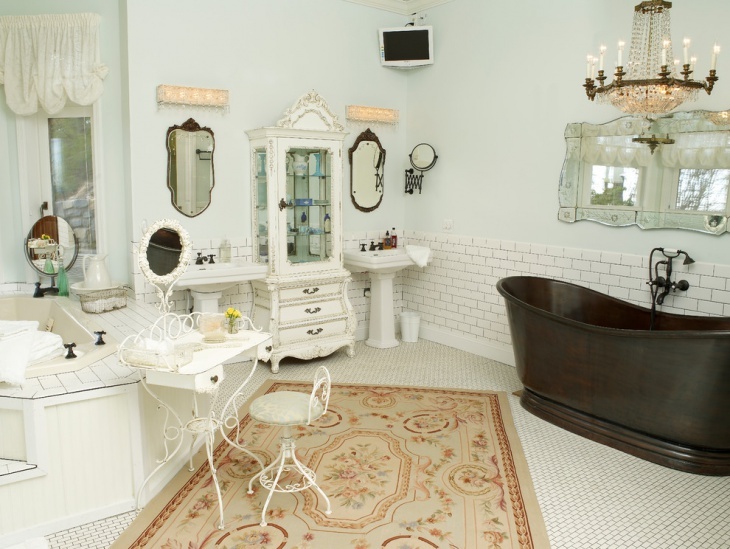 Shabby chic bathroom designs are adored by people who love unconventional things. 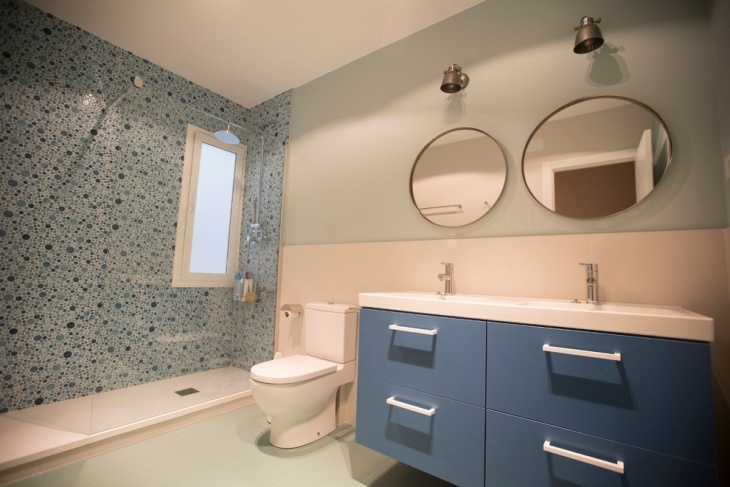 It is a great look to adopt for a bathroom as it gives a vintage makeover to ordinary interiors. 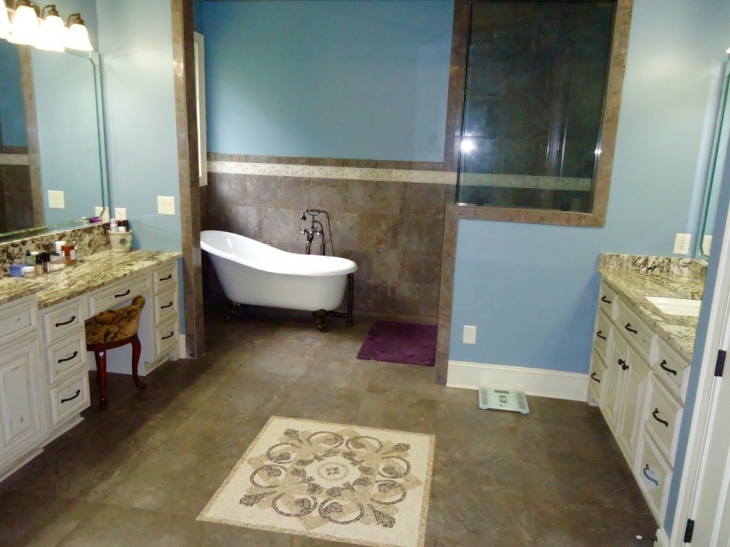 They are a great way to remodel the bathroom and make it look chic. 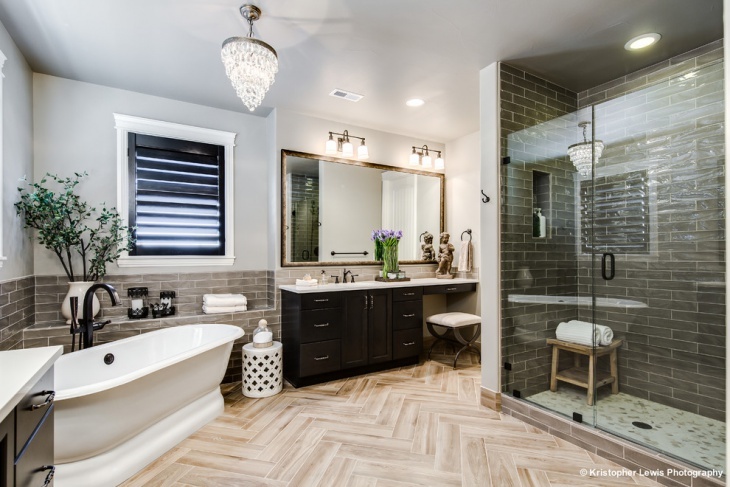 This decoration style is quite a trend in contemporary decor. 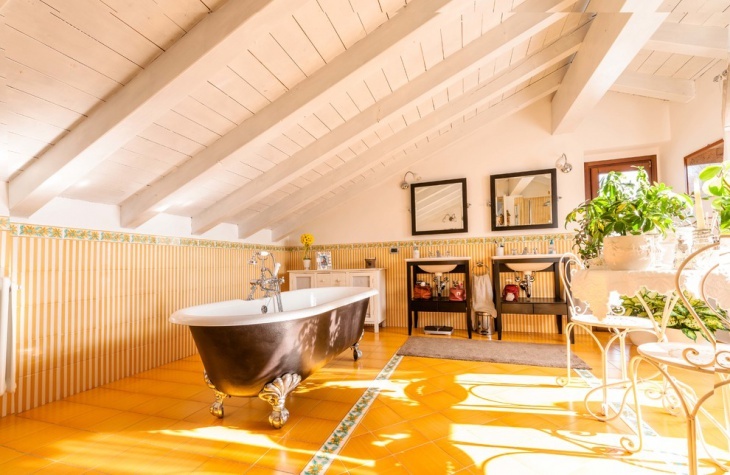 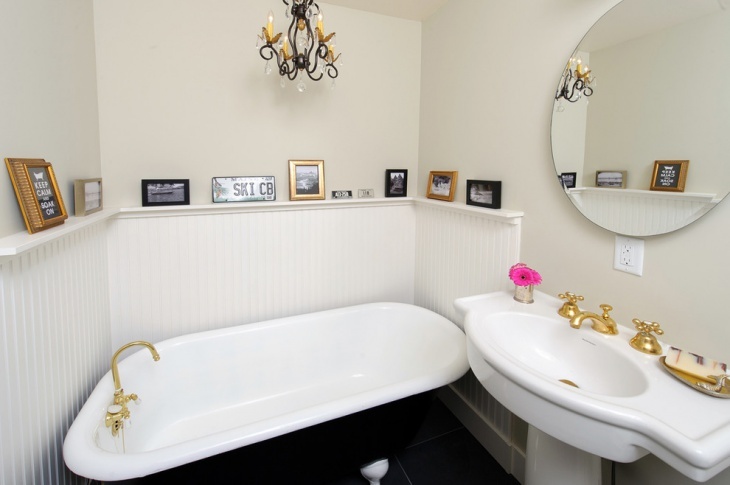 Shabby chic bathroom designs have been a rage among décor enthusiasts. 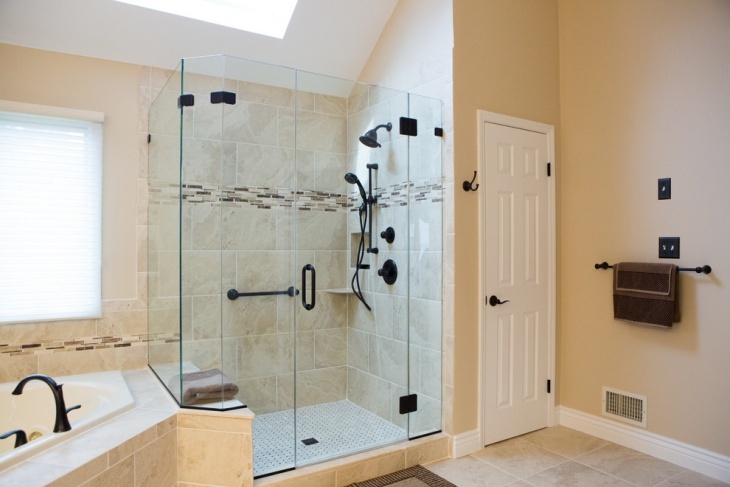 Thanks to its great appearance, these designs suit every house irrespective of its size. 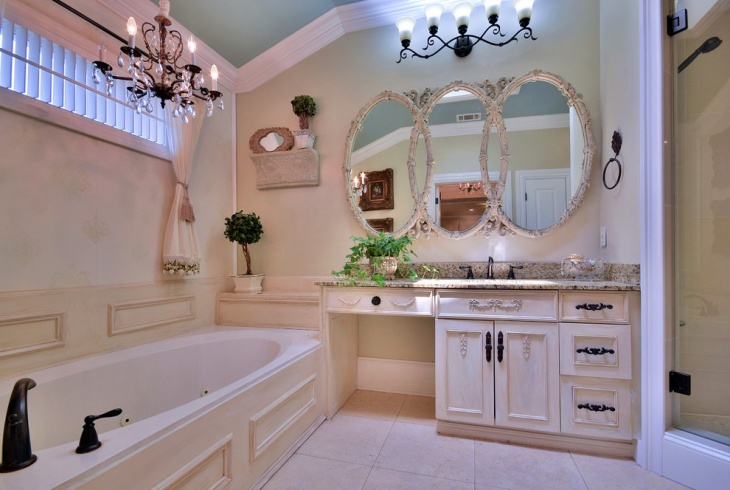 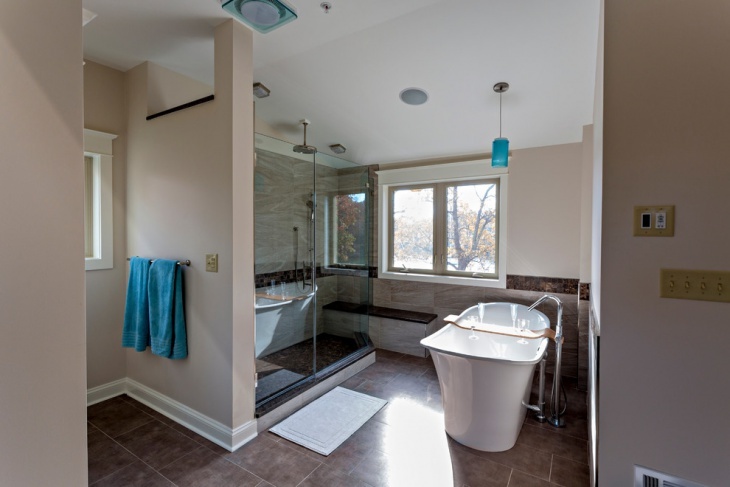 You can use cabinets and fixtures resembling the vintage era to have a shabby chic bathroom. 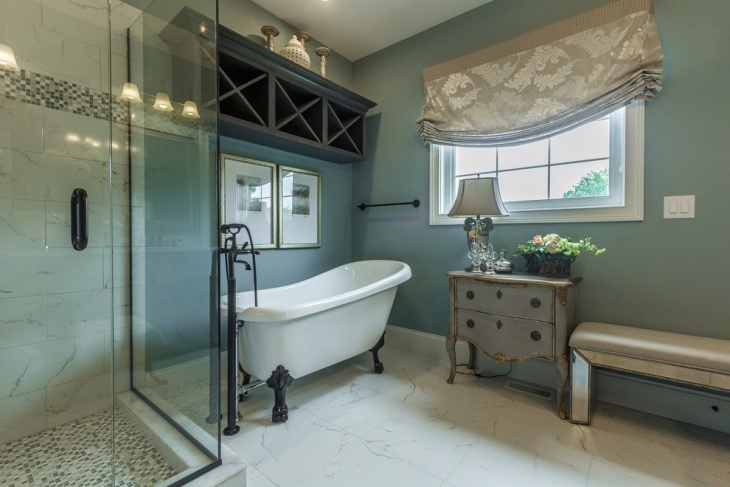 Complement the fixtures with matching wallpaper for a dramatic effect. 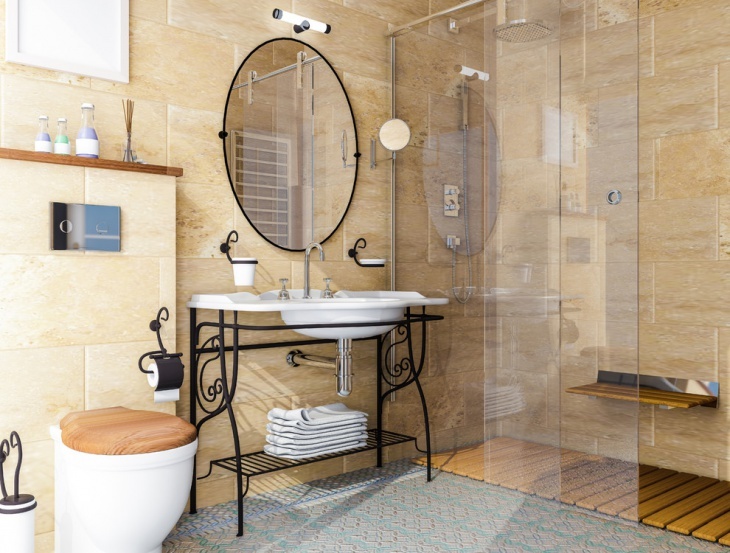 To emulate a shabby chic bathroom, you can mix and match your fixtures and furniture. 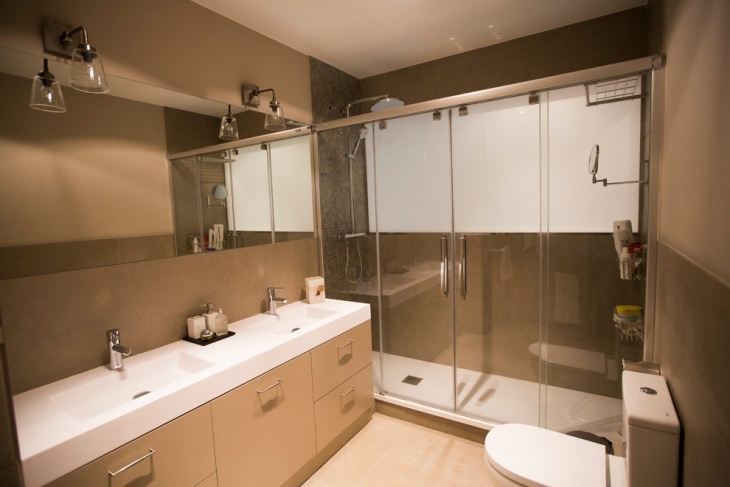 Use a shower curtains with a lot of frills and wooden cabinets with a worn off design. 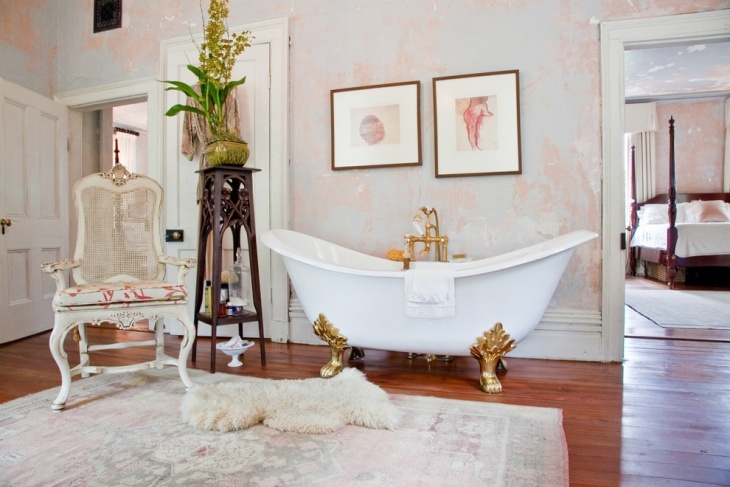 To get the lived-in and nonchalant look to your bathroom, go for settings in a lighter palette. 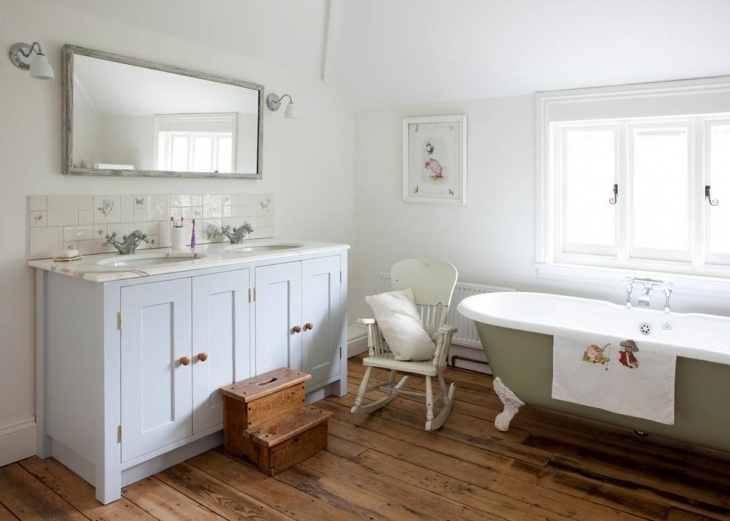 Shabby Chic bathroom designs give off a cosy vibe and have an inviting appearance. 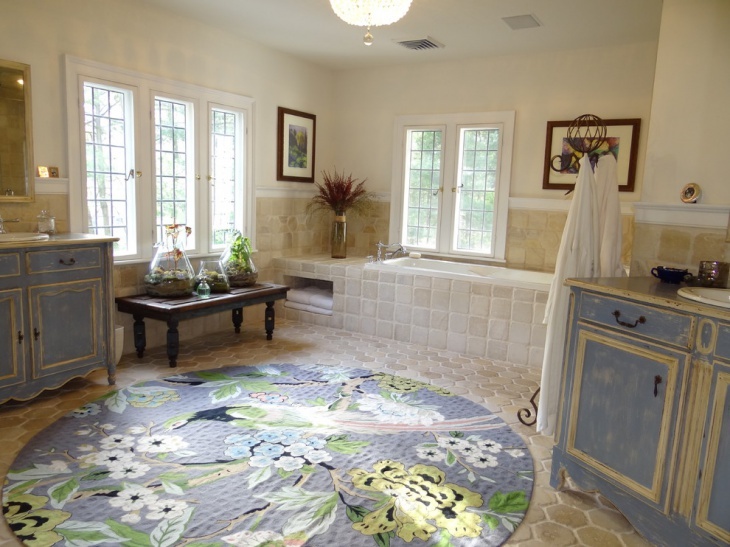 It is greatly liked by people who adore the idea of laid back opulence. 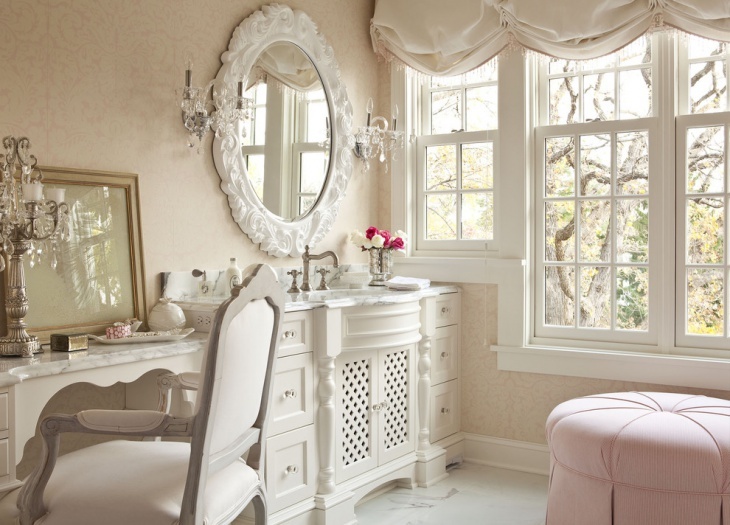 It has elements that are recognized with Victorian era and have a vintage appearance. 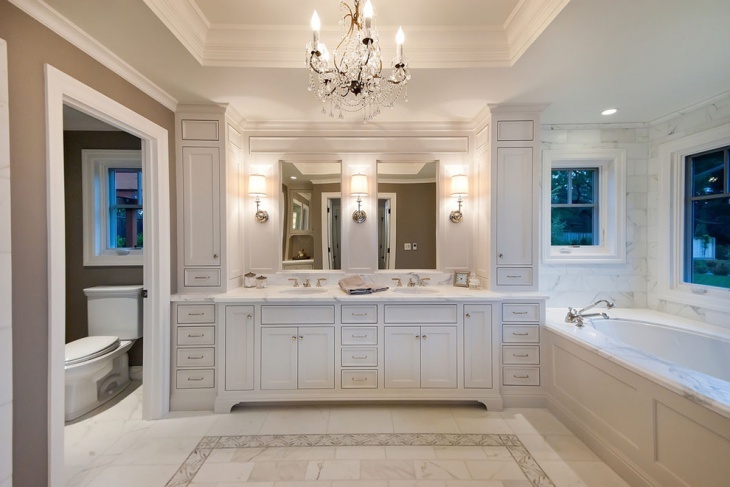 This style of bathroom is welcoming, charming and graceful.